Martín was a natural talent in front of goal, with speed, skill, courage, a great head and a knack for being in the right place at the right time to take advantage of rebounds or defensive mishaps. He was the team’s highest scorer in the 1940/41 and 1943/44 seasons, and was the first ever Barça player to top the league goalscoring charts in 1942/42 with 30 goals. 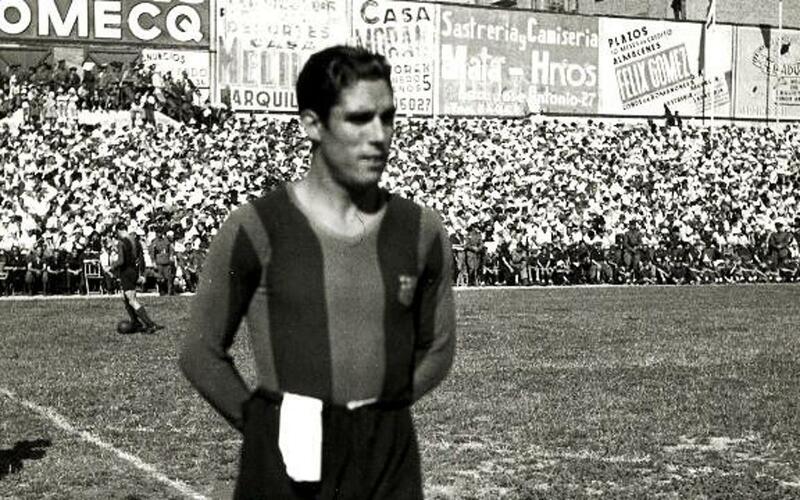 His four goals were decisive in helping Barça avoid relegation by beating Murcia at Chamartín on June 28, 1942. His impetuous personality as he prowled around opposing areas in search of chances led to a serious knee injury in February 1944. Although he did recover, he was never the same player again, and ended up leaving FC Barcelona prematurely and spending the ensuing years representing Gimnástic Tarragona. In retirement, he was the owner, along with his Barça teammate Benito García, of a very famous sporting goods business in Barcelona.